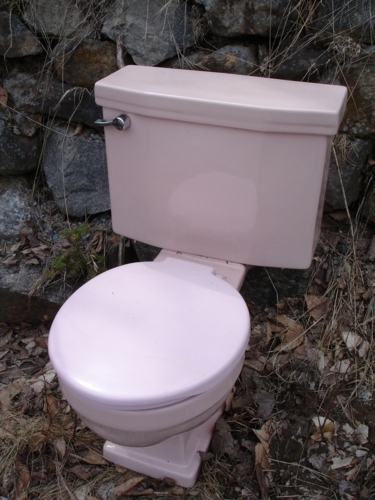 Toilets by most people standards are plain coloured bowls that look the same no matter where you go. However there are some toilets that are more expensive than others. This article will look at some of the most expensive toilets in the world. As part of the luxurious Neorest collection the Neorest 600 costs around $5000. The Neorest 600 is considered to represent the ultimate in design and technology and will help to transform you bathroom space. The Dragobert toilet throne is constructed entirely from ash wood and is decorated with a hand painted Moustier Polychrome design. A candleholder is included in this toilet which is placed in the arm of the throne the only other added feature is a musical chime that begins to play when the lid is raised and bell that rings when you pull the flush chain. If you have ever thought about having a throne in your toilet this could be the one for you if you have a spare $14,123. 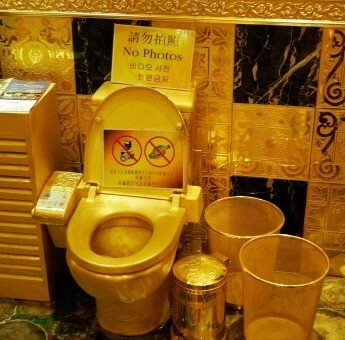 This luxurious toilet is made of solid 24-carat gold and is coated with gems and cost around $5 million. This working lavatory has a state of the art automatic flushing system however it is off limits to tourists. Visitors to this convenience are required to wear plastic covers over their shoes to avoid scuffing the 900-gram gold bars that are embedded in the floor. Hidden in Shanghai’s Moon River Art Park this toilet that is hidden in a cave cost $750,000 to build. The toilet is free to use however you need to pay an admittance fee to the park of 30 yuan. It has been reported that visitors have queued for up to 2 hours to use this public convenience. Considered to be the most expensive toilet ever built although some people would argue that it is not the most expensive toilet in the world as this one is in space. Built by NASA for the international space station it cost around $19 million and was delivered to the station in November 2008. Steve Jones carries out Bathroom Installations Company, however he often writes about different technologies that can be bought for bathrooms.